Ridgway’s Hawks are critically endangered with only 300 individuals left in the world. 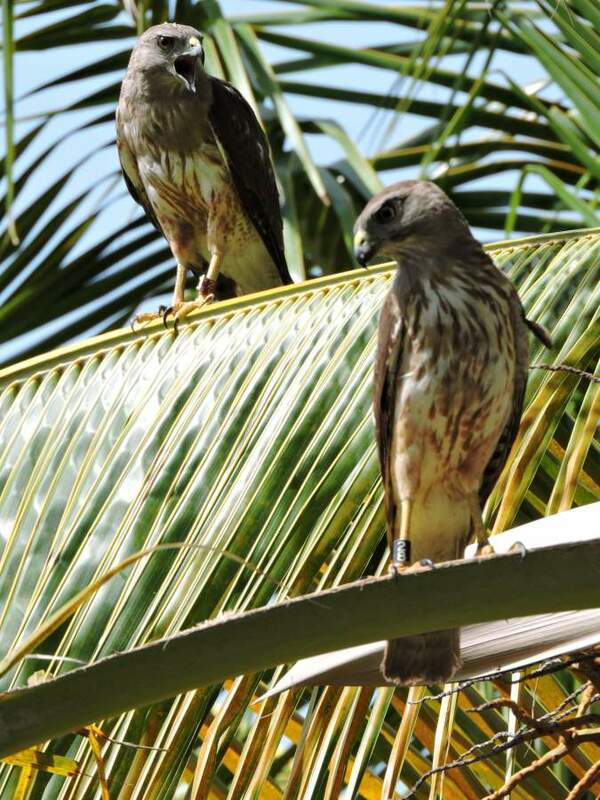 Once distributed throughout the Caribbean island of Hispaniola, home to the Dominican Republic and Haiti, populations of this endemic hawk have decreased dramatically as human populations have expanded. 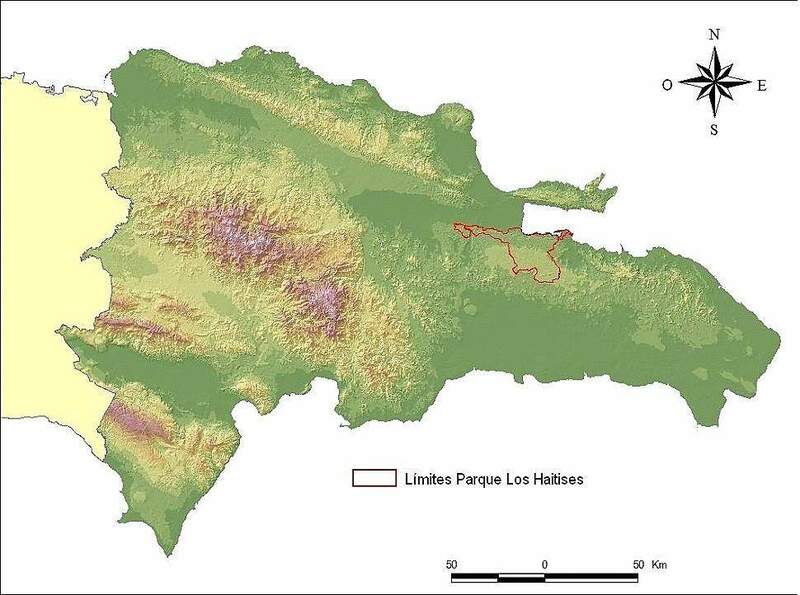 Prior to The Peregrine Fund’s involvement, the hawks had retreated to a small, poorly protected national park in a rugged corner of Dominican Republic. 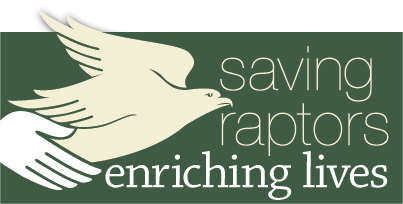 The Peregrine Fund is working tirelessly to save Ridgway’s Hawks from extinction. 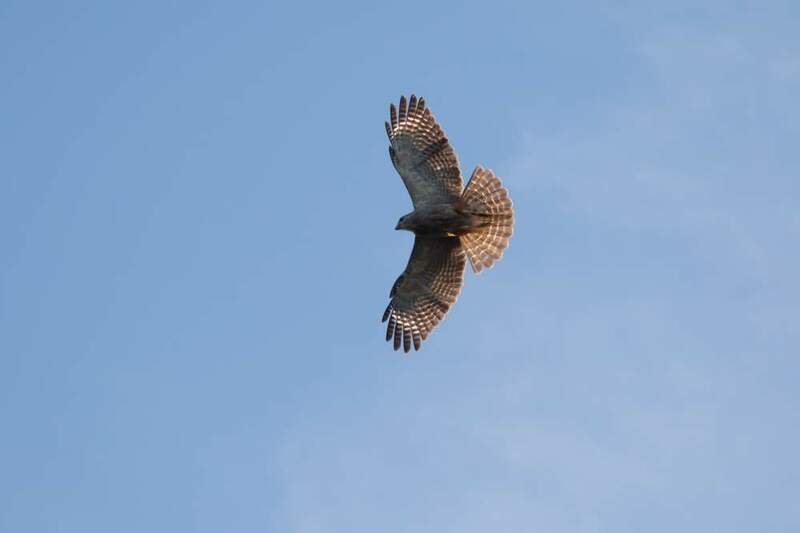 There were only 300 Ridgway’s Hawks left in the world, and they were all confined to one small area leaving the entire population exposed to extinction if a hurricane, forest fire, or other catastrophic event were to strike. In addition to habitat loss, the birds were threatened by humans who would shoot them on sight in an effort to protect their chickens from predation. The hawks needed help, so The Peregrine Fund went to work. 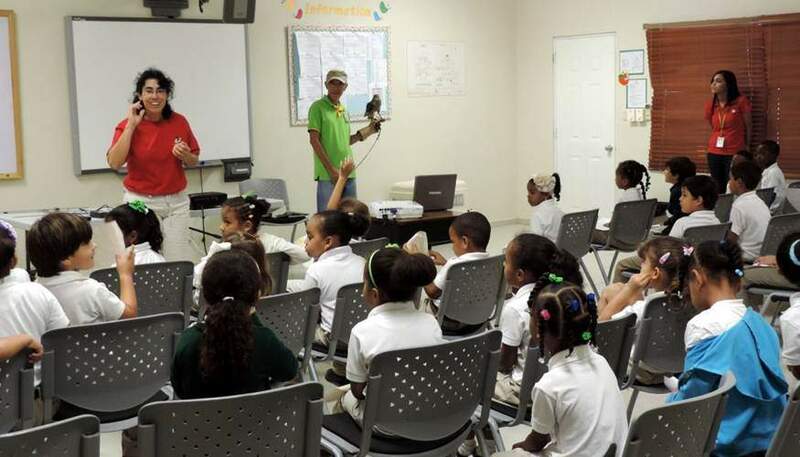 We immediately began an educational campaign in local schools and communities to help people to understand that hawks primarily prey on lizards, snakes, rats, and other small rodents. 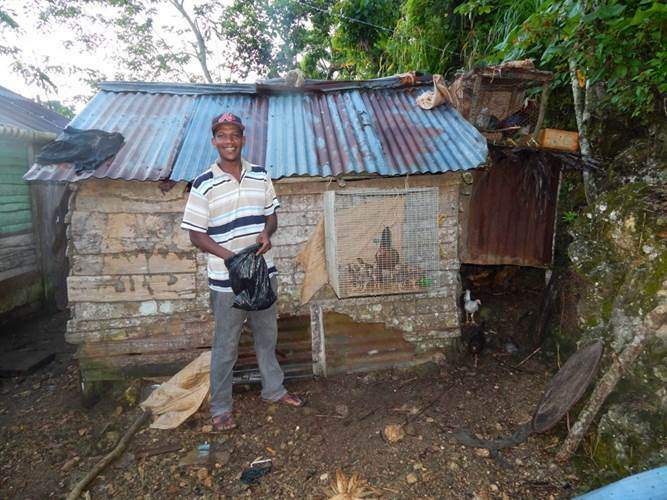 We also provided farmers with chicken coops to protect their poultry from all predators. 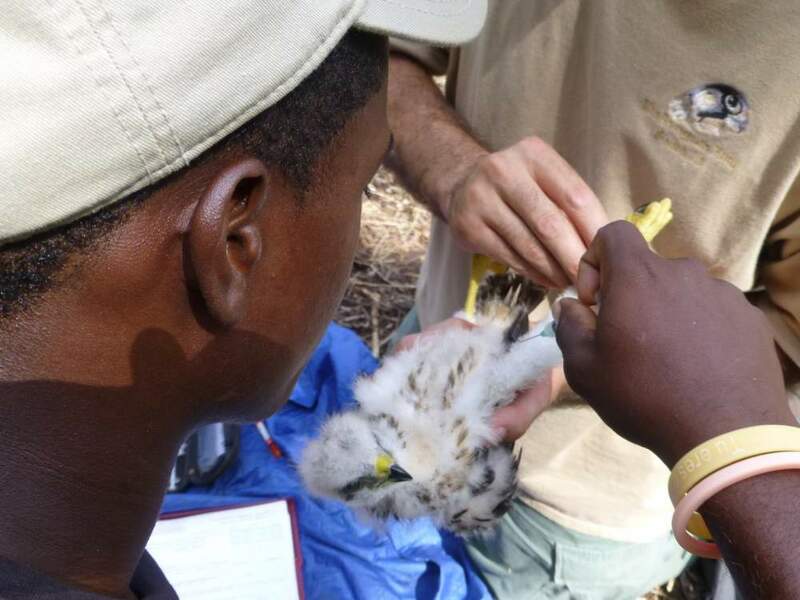 We also started experimenting with "assisted dispersal" by removing nestlings from Los Haitises National Park just prior to fledging and placing them in release boxes in suitable habitat in the Punta Cana resort area. 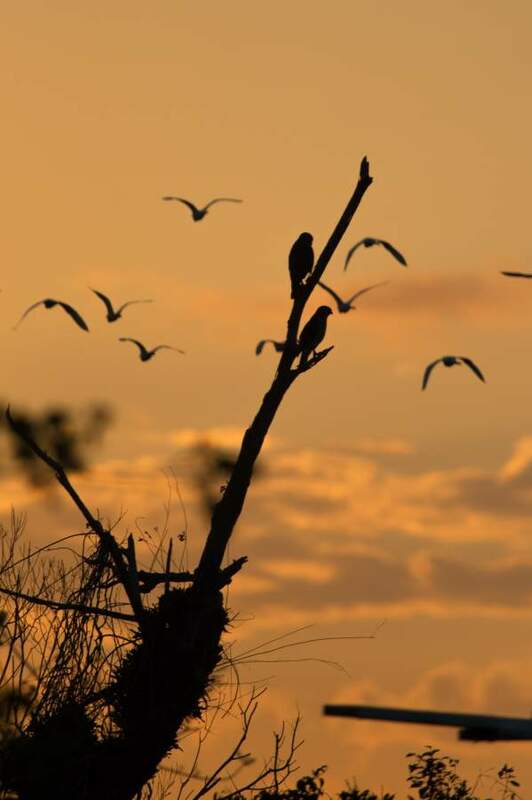 These relocated birds have been pairing up and successfully nesting in their new range, helping to spread out the overall population and provide more protection against disaster. Recently, our biologists have discovered two more threats: electrocution and infestation of nests by botfly larvae. 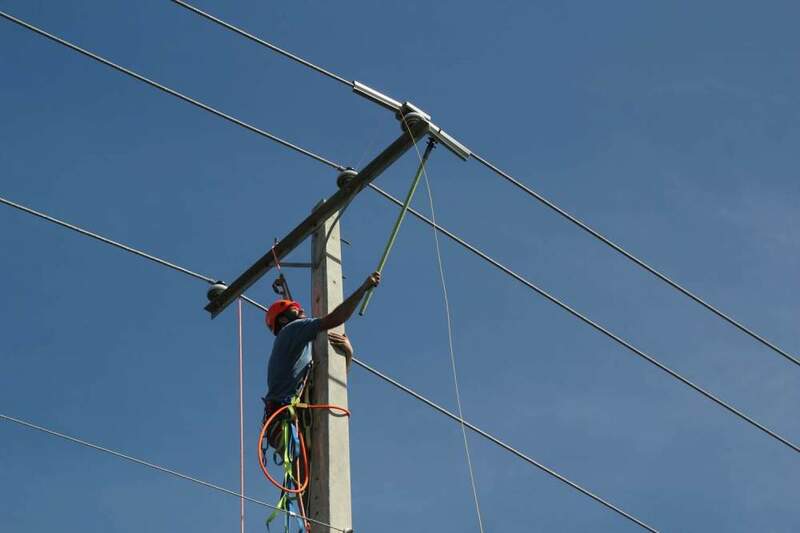 We've been addressing electrocution by providing insulation and other protective coverings to power companies and assisting in installation of them on power poles to protect the hawks. We’re tackling the botfly larvae infestation by treating nestlings with a safe and effective pesticide developed for use on cats and dogs to control fleas and ticks. Without treatment, almost all the nestlings die but with treatment, they all survive to fledge. We’re also studying botflies to understand why they have become such a pest in recent times, and what might be done in the long-term to reduce their impact on these birds. 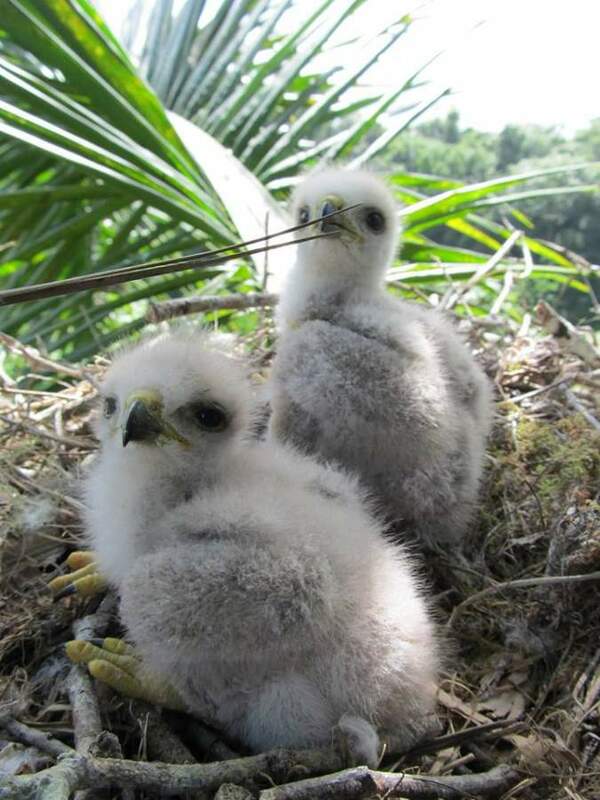 Since establishing the population in Punta Cana, the new population of Ridgway’s Hawks has successfully hatched four nestlings. This year, one of those four nestlings has paired up with a mate and is incubating eggs. If successful, the fledglings will be the first second generation hawks in the new range. In the past three years, our education programs have reached nearly 3,500 people in local schools and communities. 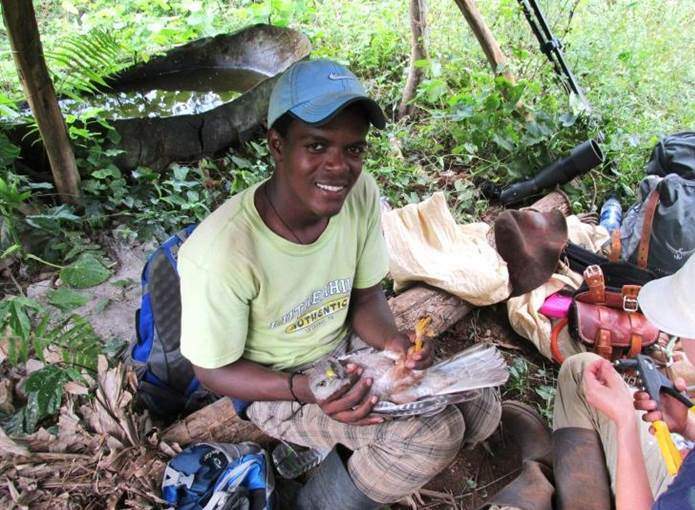 The Juanillo community even celebrated “Ridgway’s Hawk Day” this past year to show their pride for this native species. 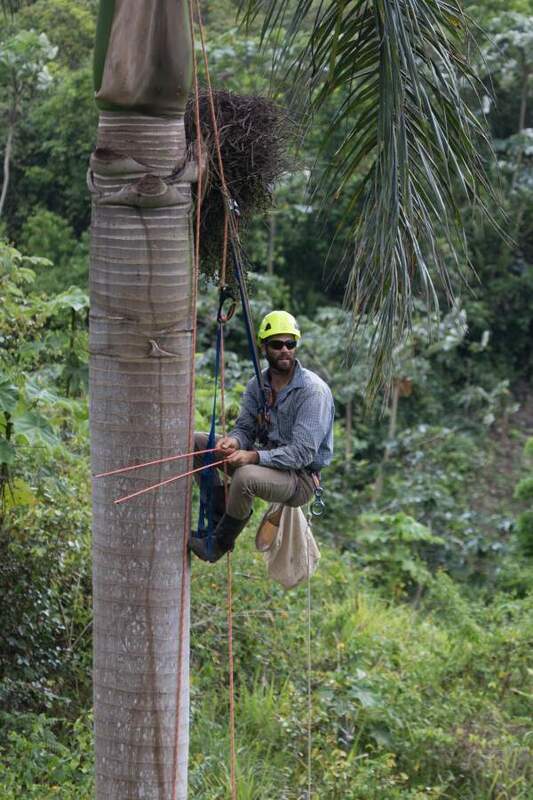 To date, our biologists have successfully trained 15 local technicians in data collection, tree climbing, treating nestlings, and education techniques. Developing this local capacity ensures a strong future for continued conservation efforts. 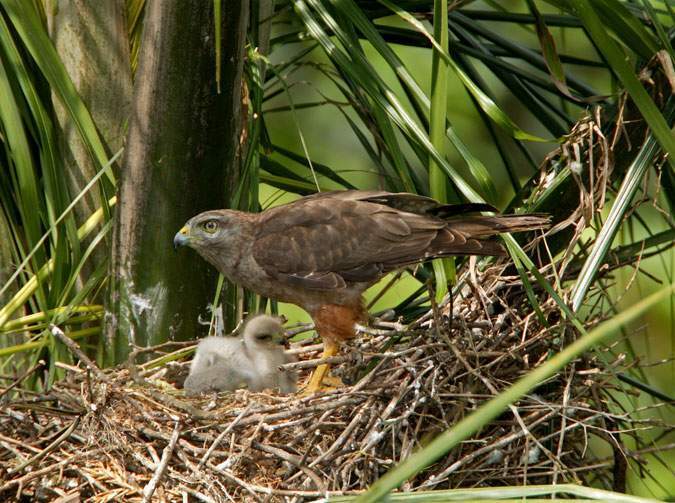 Watch an adult Ridgway's Hawk feed its chicks!